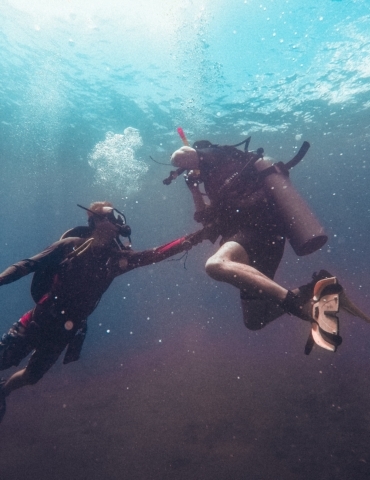 A few months ago we ran a feature on the AirBuddy, the convenient breathing system for the trained diver on the go. It’s with good fortune and possibly the niche community in which we all dwell that Deepblu and AirBuddy met in person at AIDE 2017 in Sydney. For those not in-the-know, the AirBuddy is a surface-level diving apparatus created by diver and inventor Jan Kadlec that charges at home and allows for tank-free diving via a floating air compressor that not only comes with its own floatation device, but a flag to mark that there’s a diver below. Months ago it shot to internet superstardom with a viral Kickstarter campaign which sent it soaring across the globe. We caught up with them to learn first-hand about their invention. This is a great idea, how did Jan come up with the AirBuddy? We are passionate divers and underwater lovers. Although we live on the beach, we found out that we don’t dive as often as we wish. We are sometimes tired by all the hassle, time and expense that comes along with preparing for SCUBA diving. We realised the potential of a surface supported breathing apparatus for self-guided recreational shallow water diving. Unable to find the right product on the market for our underwater explorations in Sydney and on our travels, we set out the goal to build a small, lightweight, and easy to use dive gear. 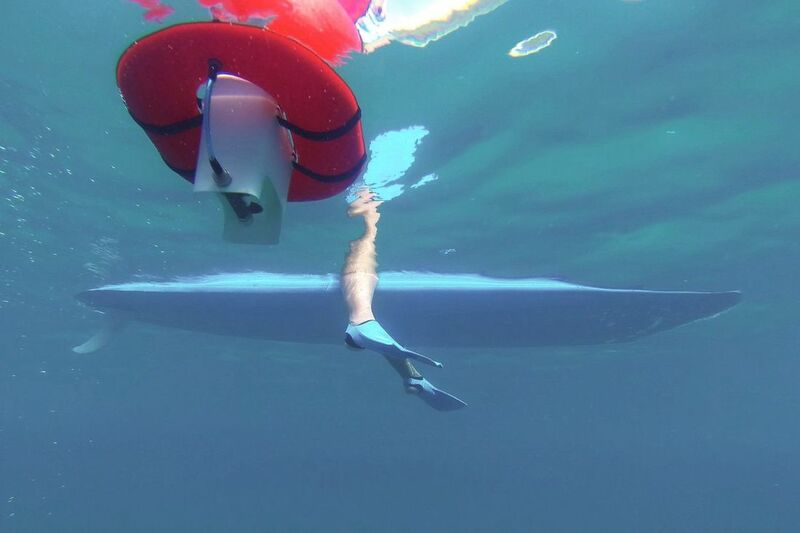 We created AirBuddy to provide an easy alternative for self-guided shallow water diving. 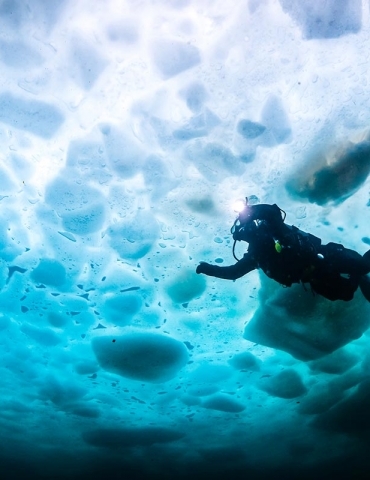 We aren’t trying to replace SCUBA, it’s still great for deep dives and cave diving. 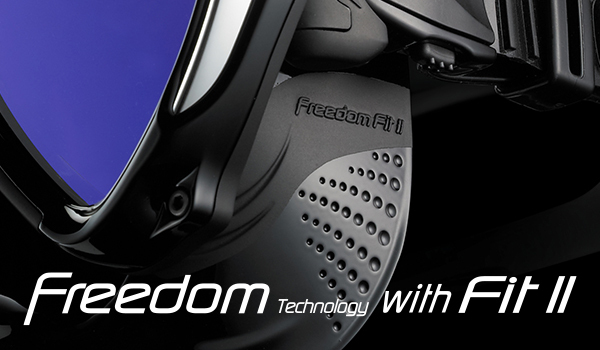 We wanted to make diving just as convenient as other sports; a sport where you just grab your gear and go. 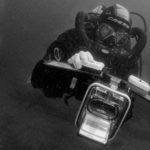 How can divers benefit from the device? AirBuddy is the world’s most compact recreational diving gear. It brings a revolution to discovering the underwater world – thanks to eliminating the hassle and bulk of traditional SCUBA gear, diving has never been easier and more accessible. Thanks to its compact size, AirBuddy is easy to transport and stow. With a set up and pack up time of about two minutes, you are ready to dive just a few moments after you get to the beach. Without the bulk of the tank and BCD, your drag is much lower and the experience feels closer to underwater swimming than diving. 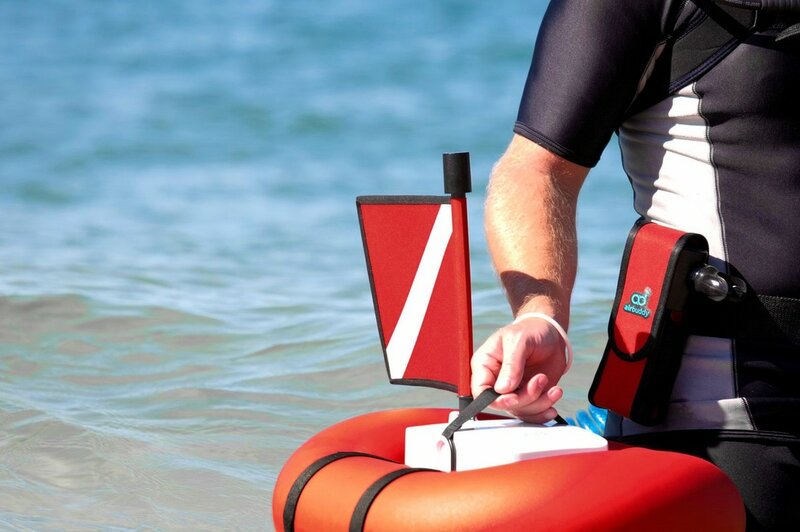 AirBuddy is simply the only “grab and go” diving product. What’s it like to use one? It’s simple. The rechargeable 12V battery powers the air compressor that pressurises the surface air. The air is then delivered to the diver through a receiver and a supply hose with a regulator (mouthpiece). This means you don’t have to store and take all the compressed air with you under water. You breathe fresh air from the surface. With AirBuddy you can experience a less inhibited diving experience with increased safety. Don’t carry unnecessarily heavy equipment on yourself – feel like a fish in the water. How does the AirBuddy operate? AirBuddy consists of three main components: a battery-powered air compressor, a supply hose and a regulator (mouthpiece). The air compressor pressurizes surface air that is then delivered to the diver through the supply hose with a regulator. The diving system allows forty-five minutes of diving at a depth of up to twelve meters for one diver and six meters for two divers. While the concept is simple and has been around for years, AirBuddy is built with today’s latest and most innovative technology, which makes AirBuddy the world’s smallest and lightest surface-supplied breathing apparatus. For travel purposes, what’s it like to store and transport? AirBuddy is small, light and compact – easy to transport and stow. 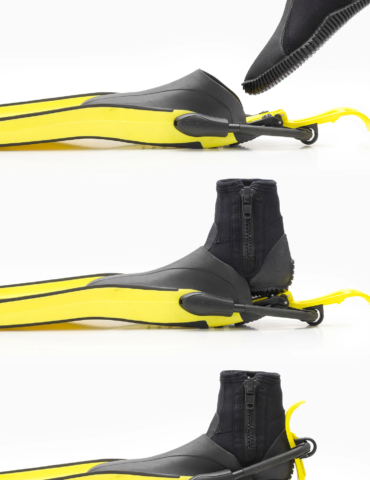 Unpacking and assembling this cross between SCUBA and snorkeling takes only minutes. By simply charging the 12V battery (3.5 hours to fully charge via standard electrical socket) and connecting the hoses, you are ready to go! This saves valuable time by avoiding the hassle of booking SCUBA gear in advance or driving around trying to find a dive shop. What’s next for the inventive crew of divers over there? After almost four years of development, seven generations of prototypes, and countless hours of diving and testing AirBuddy, we are getting ready to start the production. Our design for manufacturing is progressing well (just finished with final design elements) and we are busy engaging with multiple vendors to discuss the options for the molding of certain design features such as the magnetic key holder. It’s a time-consuming process, but it is very exciting, too. A possibly easy one… where should we dive if we’re in your area? We are located in Sydney, so we are very lucky with many beautiful dive sites – North Bondi, Shelly Beach, Camp Cove, La Perouse and one of our favourites – Shiprock. Thanks for helping us learn more about the AirBuddy!